A new honeybee helper could give the tiny pollinators a safe place to reproduce and thrive. 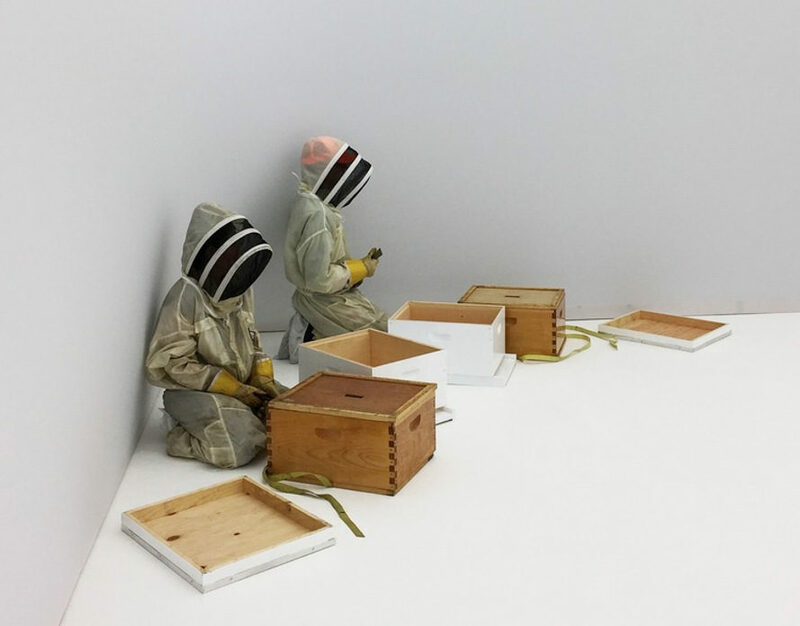 The Synthetic Apiary was produced by designer and architect Neri Oxman and the Mediated Matter group, part of the MIT Media Lab. Understanding that recent bee die-offs are due in large part to environmental conditions and exposure to pesticides, the designers theorize that controlled, indoor bee habitats could help the little buzzers survive year-round. The creation of a controlled space in which bees can thrive directly addresses the plight of the bees from every possible angle. By design, the Synthetic Apiary concept protects the bees from the biggest threats to their survival, including errant pesticides, drastic climate changes, drought, and even flowers losing their scent. Providing a protective environment is the latest in a series of unique attempts to help save pollinators from total extinction. News of the experimental project emerges just days after the US Fish and Wildlife Service added seven species of bees to the Federal Endangered Species list for the first time in history. While it’s clear that honeybee colonies will need external support in order to repopulate and survive, it’s too soon to know whether the Synthetic Apiary is that solution. However, initial results are inspiring. The Mediated Matter video embedded above shows, at 2:33, the first bee birth ever documented in a synthetic environment. Oxman is no stranger to creating designs that address problems of survival. In 2014, the designer teamed up with MIT on another project, resulting in the production of eye-catching 3D-printed suits that could act as “wearable biospheres” to support human life on alien planets. Although that invention may never become a practical reality, the Synthetic Apiary concept has a buzzworthy chance at making a real difference for populations of bees right here on Earth. The creation of a controlled space in which bees can thrive directly addresses the plight of the bees from every possible angle. By design, the Synthetic Apiary concept protects the bees from the biggest threats to their survival, including errant pesticides, drastic climate changes, drought, and even flowers losing their scent. Providing a protective environment is the latest in a series of unique attempts to help save pollinators from total extinction. News of the experimental project emerges just days after the US Fish and Wildlife Service added seven species of bees to the Federal Endangered Species list for the first time in history. While it’s clear that honeybee colonies will need external support in order to repopulate and survive, it’s too soon to know whether the Synthetic Apiary is that solution. However, initial results are inspiring. The Mediated Matter video embedded above shows, at 2:33, the first bee birth ever documented in a synthetic environment. Oxman is no stranger to creating designs that address problems of survival. In 2014, the designer teamed up with MIT on another project, resulting in the production of eye-catching 3D-printed suits that could act as “wearable biospheres” to support human life on alien planets. 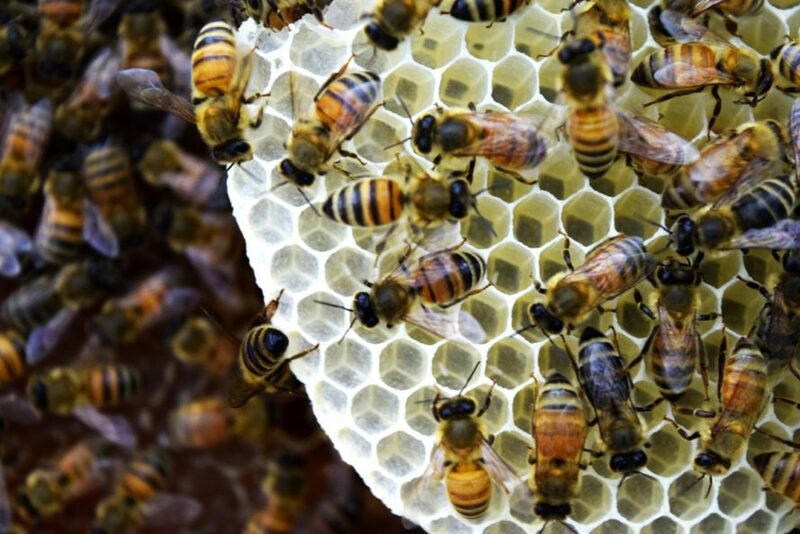 Although that invention may never become a practical reality, the Synthetic Apiary concept has a buzzworthy chance at making a real difference for populations of bees right here on Earth.